This Wave Design represents the power of water from our oceans and rivers. This is an variation on an award winning design: Winner of the JCK Jewelers Choice Award 2008. 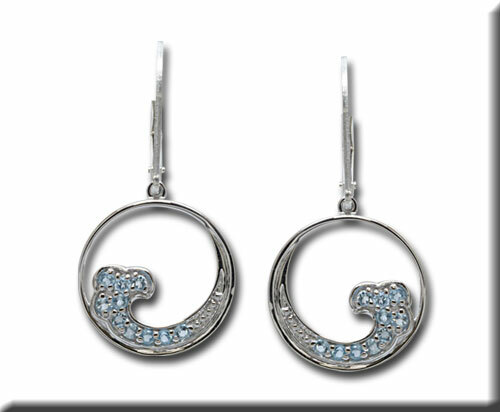 Lovely sea colored blue topaz adorns these crashing waves dangling from leverback earrings.Lever-backs are a very smooth and secure way to fasten earrings. You can also have a matching pendant!